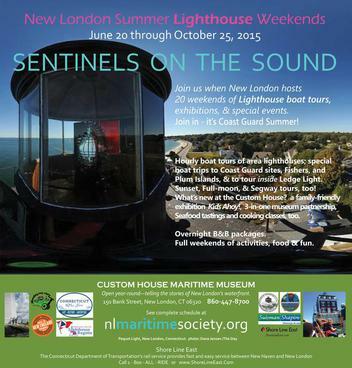 In 2016, at age thirty-three, New London Maritime Society’s vision has grown. 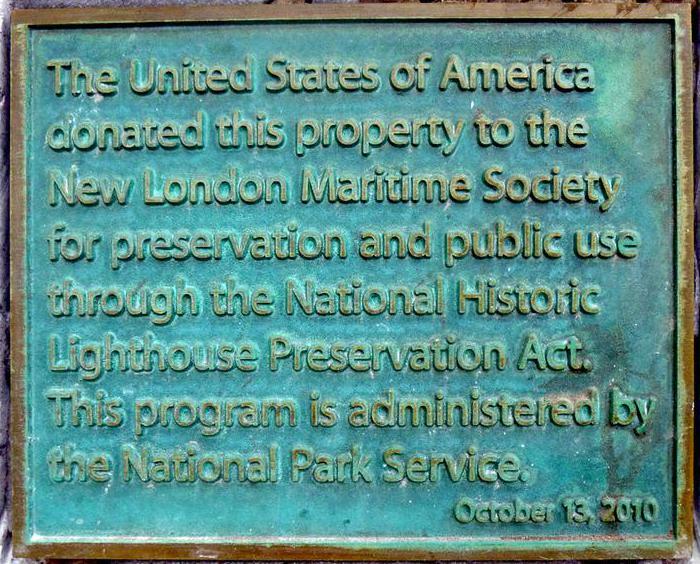 Three+ decades ago, the founders, The Day, and the people of this city created a new institution designed to preserve New London’s 1833 U.S. custom house within an organization dedicated to preserving the history of maritime New London. Recently, for the first time in two hundred+ years, and for one time only, the federal government began divesting itself of its—our—historic lighthouses. 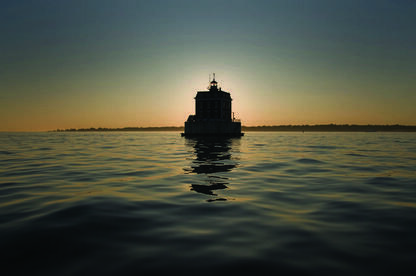 Because preserving the region’s maritime history is our mission, we rose to the challenge; if not us, who would step forward to preserve these sites for future generations? 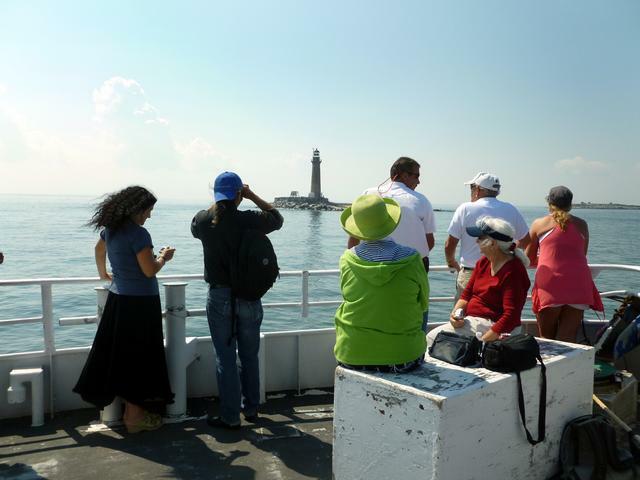 Three years ago, the New London Maritime Society adopted the city’s Harbor Lighthouse, and, in July 2013, ago took ownership of a second lighthouse: Race Rock. 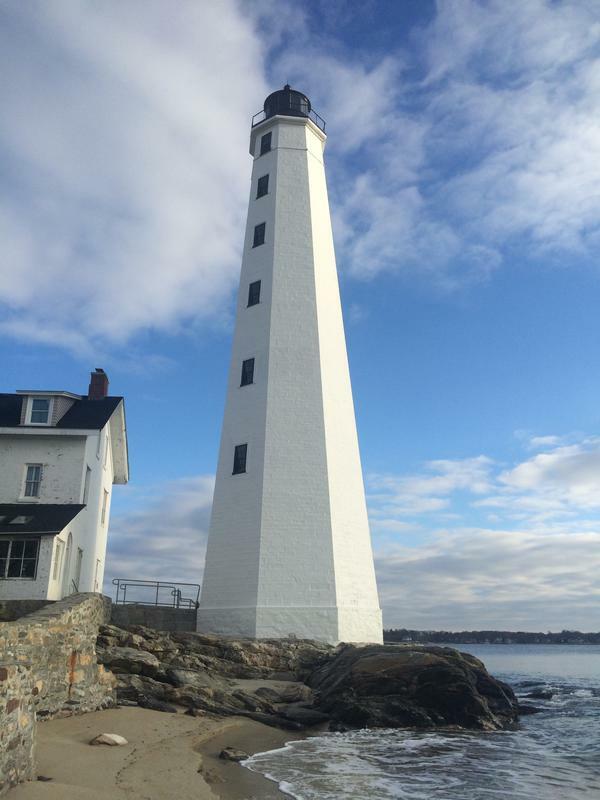 In 2015, in partnership with the Ledge Light Foundation, we were awarded a third property: New London Ledge Light. But there’s a greater plan at work, too, one that’s organized geographically (not following political boundaries), for preserving the true essence of maritime New London. 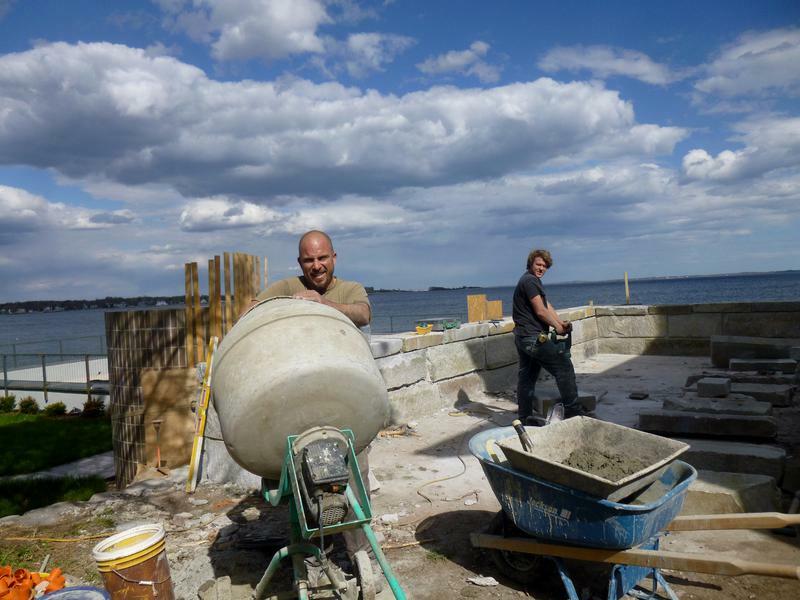 The idea is to look out across the waters of Long Island Sound and partner with groups along the shoreline: historians, conservationists, boaters, commercial fishermen, residents, with the hope of creating a larger mutually-supportive entity. 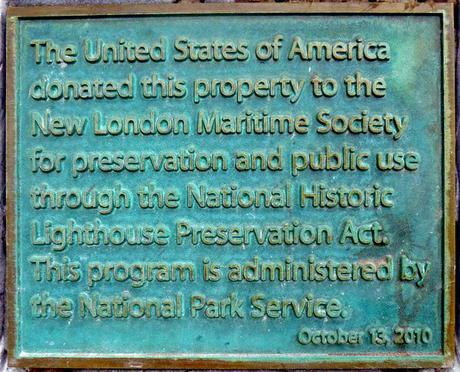 The Maritime Society’s goal now is to preserve not just the stories but the whole of our maritime resources within the framework of a national maritime heritage park. To be notified of events by email, subscribe HERE. 2013​ 2013 Sentinels on the Sound​ USPS Youtube film. 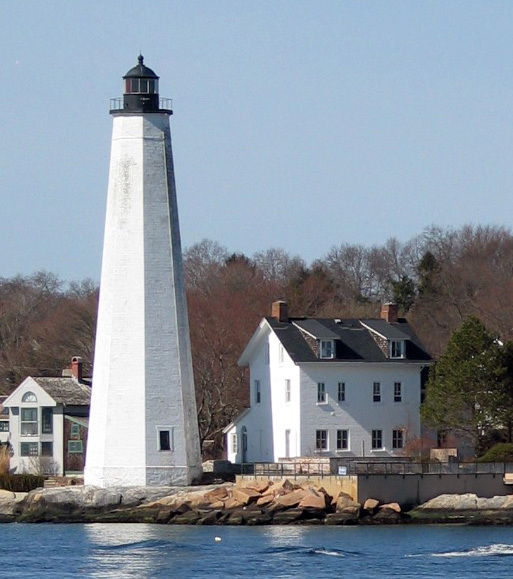 New London's Harbor Light was the featured lighthouse for Connecticut in the 2013 United States Postal Service's New England Coastal Lighthouses series. The stamp was issued on Saturday, July 13, 2013. USPS made a great film. That's us, far right, above! See photos of ceremony, below. by writing letters of support, and the many members, volunteers, & donors who help us, everyday, to maintain our vision. Yes, we wielded swords (the better to cut the lighthouse cakes!) & the Gala was gorgeous (above)! Simister; & to super-great volunteer Rachel Perry, who arranged for all the lighthouse cakes. Saturday, July 13, we just had one event (above) -- but it was spectacular! 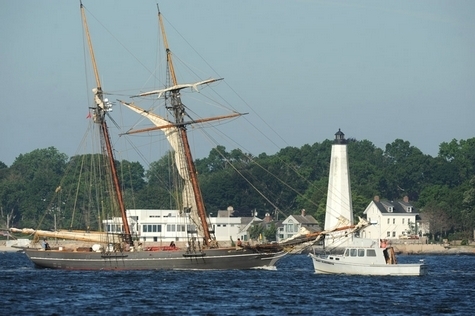 The United States Postal Service unveiled the (click>) Forever stamp featuring New London Harbor Light. 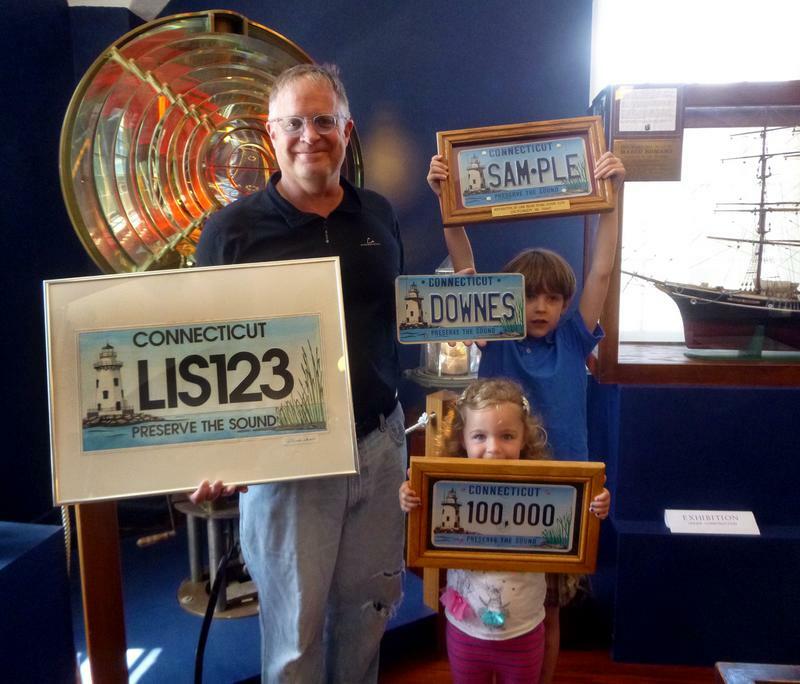 newsletter & sold BIG buttons during SailFest. Thank you all for your enthusiastic support of our Lighthouse Saturdays. 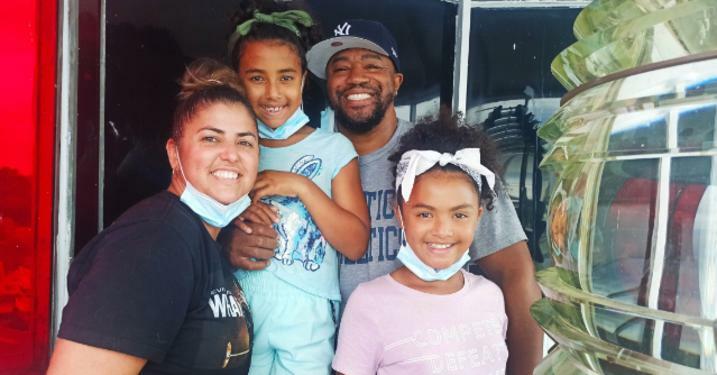 CLICK to see> 'Be a Part of Something BIG' on TV. Read about our year (2013) in The Day. 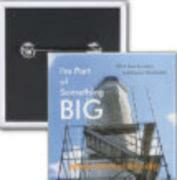 Purchase an I'm Part of Something BIG pin at the Custom House Museum Shop for $10, beginning July 1, allowed Pin wearers to partake of the following discounts at businesses in downtown New London on weekends, July through October, 2014. August 6, 2015 Congratulations to US! 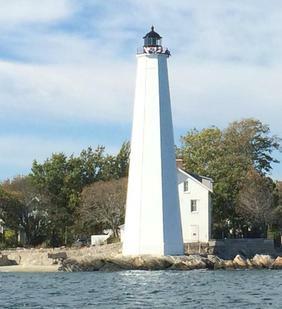 Today, New London Maritime Society took ownership of a 3rd lighthouse: New London Ledge Light. 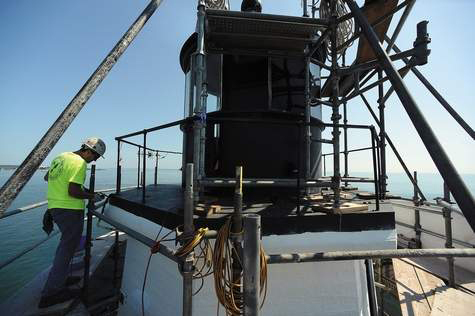 In July, 2013, we took ownership of Race Rock Light. 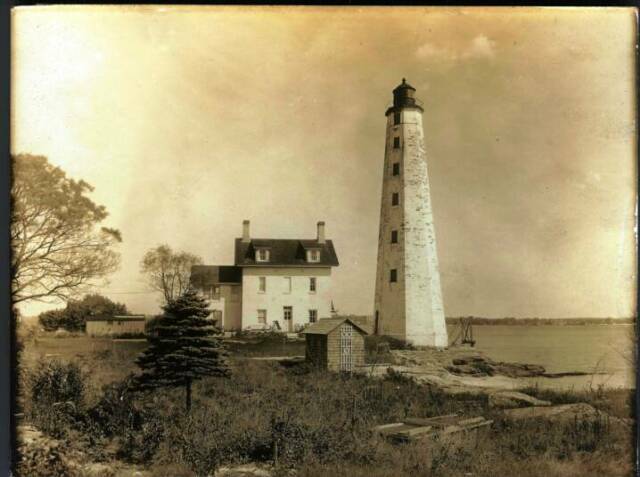 Our commitment to the preservation and protection of these beloved landmarks ensures the future enjoyment of these lights for our community and visitors alike. 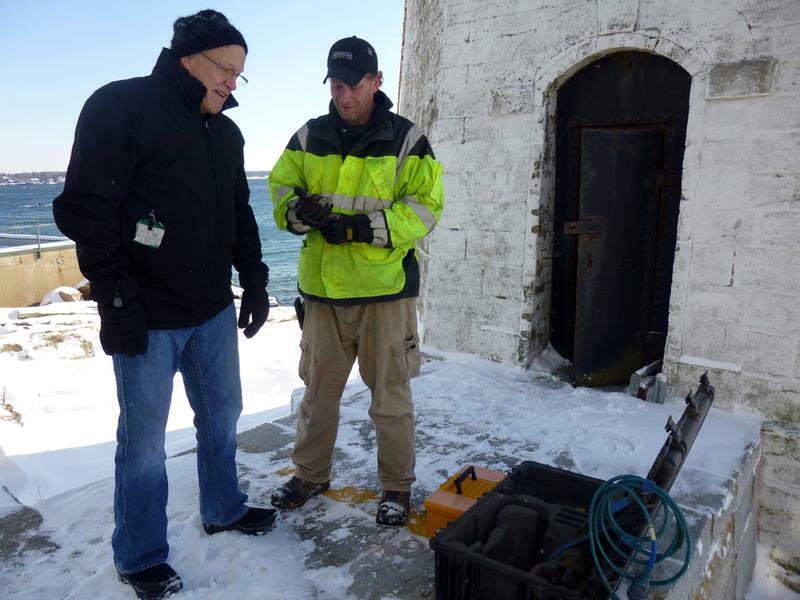 In 2015, we took ownership of Ledge Light, Race Rock was on National Geographic TV, and Harbor Light was shut down (see news articles). 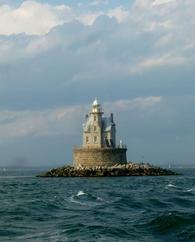 We continued our boat tours -- to area lighthouses, at sunset, during the full moon, and instituted a new USCG boat tour. 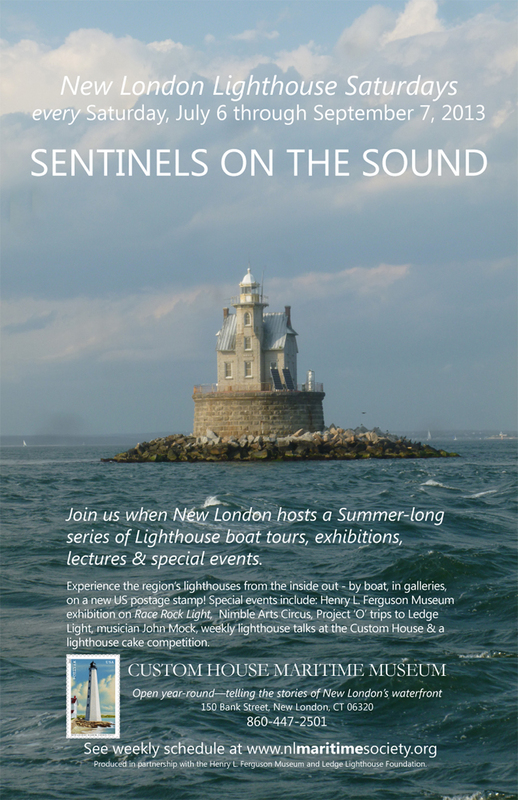 In 2016, we held a first Long Island Sound Lighthouse Symposium and added boat tours on the Popeye to Race Rock and Noank's islands. 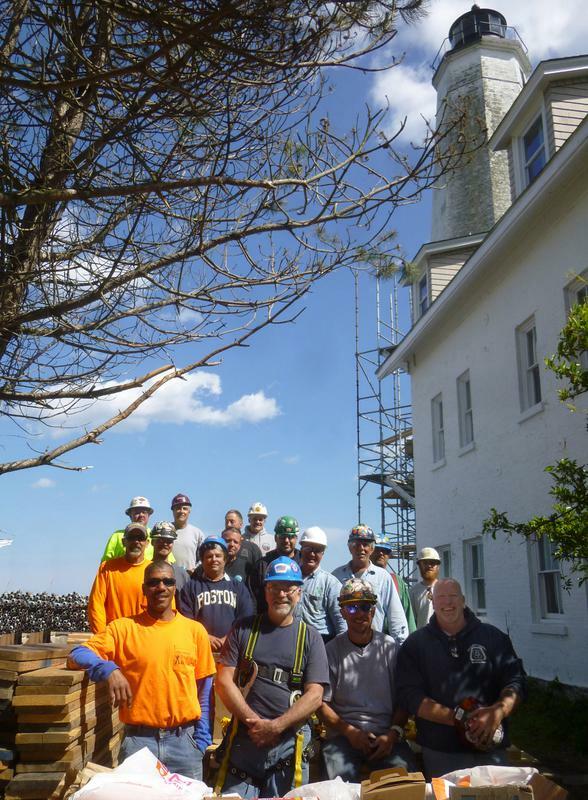 In July, 2015 we took ownership of Ledge Light. 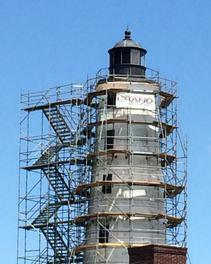 In October, 2010, we took ownership of New London Harbor 'Pequot' Light.